Geida D. Sanlate | Littler Mendelson P.C. 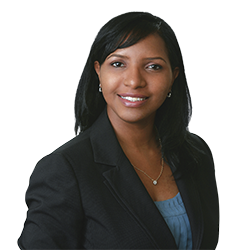 In addition, she has prior extensive experience representing clients in immigration-related proceedings. Prior to joining Littler Mendelson, Geida served as a law clerk for the Honorable Richard W. English, Judge of Superior Court. While in law school, she worked as a judicial intern for the Honorable Jose L. Linares, United States District Judge, and as an intern for the Equal Employment Opportunity Commission. She was also an editor of the Rutgers Business Law Journal.